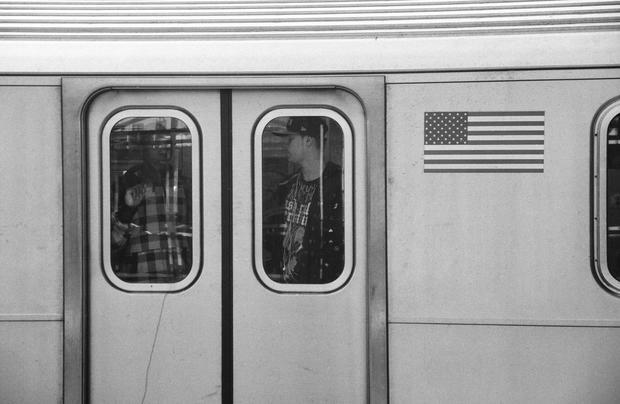 User submissions to our Subway photography project. I took this photo on Sept 9,2011, was wondering around the city taking pictures of different subway stops, I believe this one was Brooklyn Bridge, Its says we travel underground. 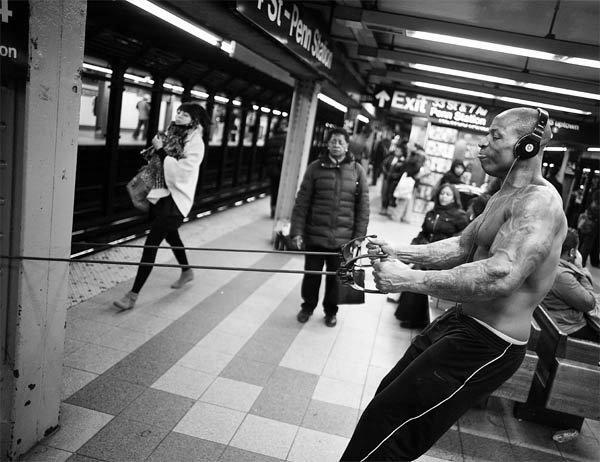 This photograph is a part of the series done to showcase the daily routine of NYC filmmaker. The project focused on documenting this unique and talented person whose inner intimate world is reflected and merged and hence invisible in the public arena as an individual. 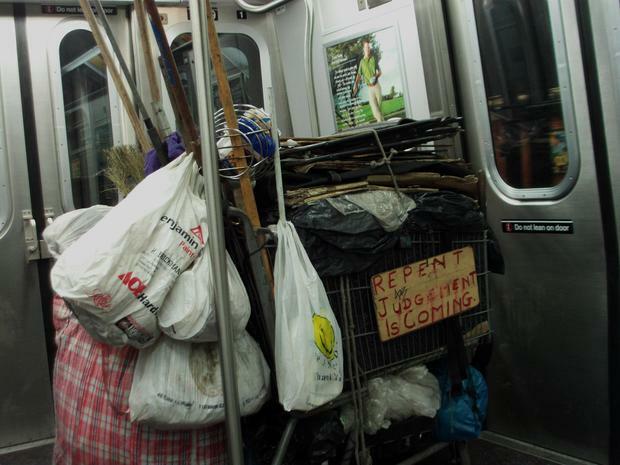 In a city that never sleeps, there is that daunting hour when subway carts become merely empty. As they carry passengers to their destinations to the hypnotic rhythms of the rails, the City above ground is greeting the sunrise. This photo was taken in the 1990"s on the number 1 IRT train. 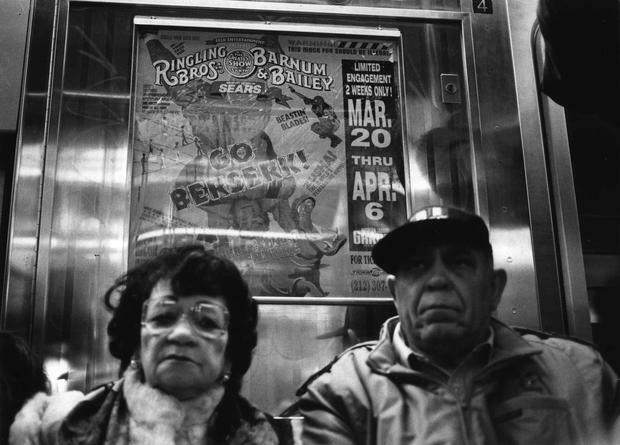 The image underscores the fact that you see endless fascinating faces everywhere in NYC. 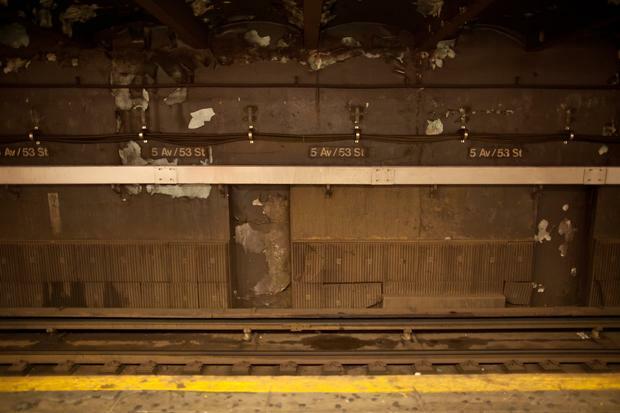 The subway is a place of close proximity and a place of curious "interiority." We stay in ourselves but we look, we look, all the time. 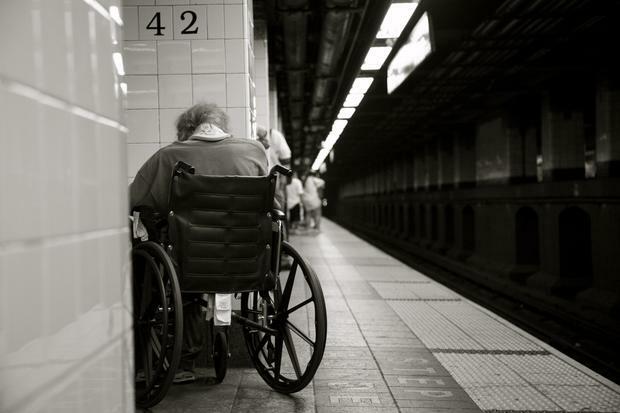 I shot this photo in the 79th Street IRT Station on the Upper West Side. Before the subject stepped into the frame, the play of light and dark caught my eye. The descending passenger carrying his brief case echoed film noir and seemed an apt visual metaphor for the "If-you-see-something-Say-something" paranoia of our City and our Country. Taken in 2010. Two years after Obama gained office. Broadway #1 train IRT Thoughtful. I took this photo on the summer of 2011. 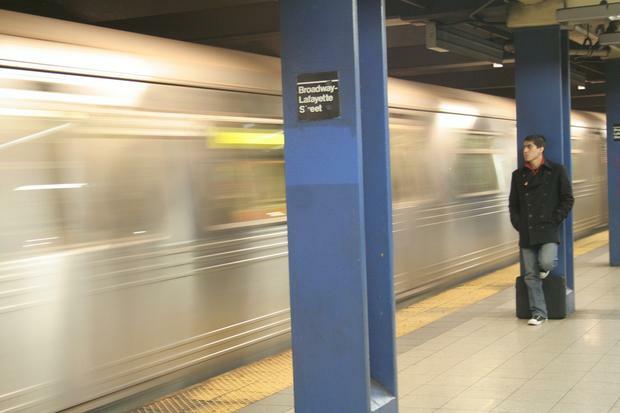 It was my first time visiting New York, I'm from Mexico, and I realized right away that the subway is a big, hot, melting pot of the different cultures, colors, forms and scents that make New York the great city it is. Bartosz Jaworski photographer from Poland, 25 years old. This is one of the photo I made during my project. Wpisz tekst lub adres witryny albo przetłumacz dokument. unfortunately it wasn't shoot in NY becouse, of course, whole project was born in Poland, Cracow. But i think that public transport is similar all around the world. Few words about my project: We are traveling every day, all our life, each every day. By buses, trams, metro, planes. 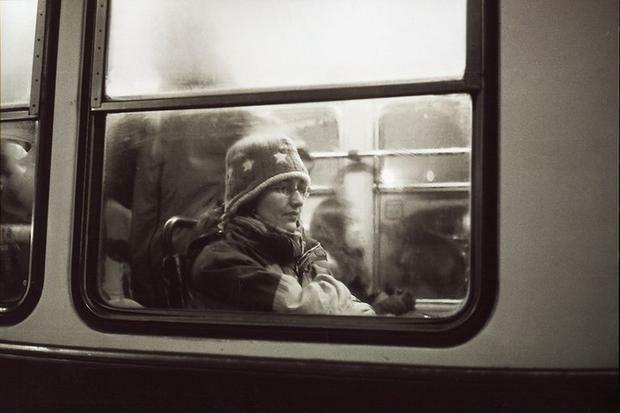 Public transport became a part of our life. Inside the vehicles we heve a companion -- the other passengers. We always see them but we almost never think about them. Why? They are the same person as we are, with their problems, with their lives and jobs. When i was making my tram project i was trying to show how focused they are. The trip to work is not just a moving from point A to point B. It's preparing to another hard day. Moment of silence before time of loud. It's like when you are in a tram you are not actually at home, but also not yet at work. It's a place where you always have your free time. This was taken on my most recent trip to New York. I took it on an old film camera, a Nikon F3, the film was TRI-X 400. 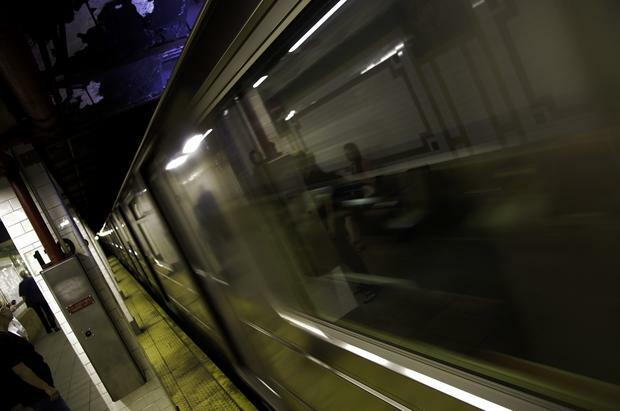 The pretentious version of 'what it says about New York' is that the almost otherworldly image of a train passing through the 57th Street station speaks to the transitory nature of life beneath New York's steets. The less high falutin' version is that this image captures, for me, a little of the excitement I feel when I visit New York, a sense of being alive to a phenomenal degree. 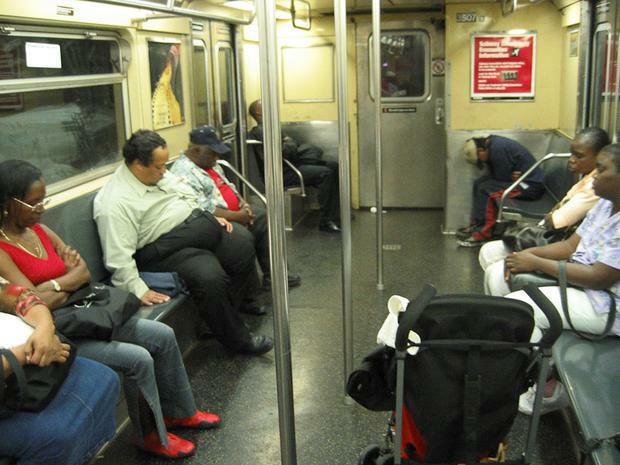 A few years ago, very early in the am, we were on the way to the airport, and everybody was passed out. Where else can you enjoy a group nap? My mom was very ill and unable to go outside for the last two years of her life .That day I was on the way to the hospital and I wanted to take a little bit of the outdoors with me. It began to snow as I waited for the train. This image was made last summer at the Bedford stop on the L train platform in Williamsburg, Brooklyn. It evokes the latent antipathy by the emerging political class against all-fashion-no-content-Williamsburg-hipsterism. This picture was taken in August of 2010. 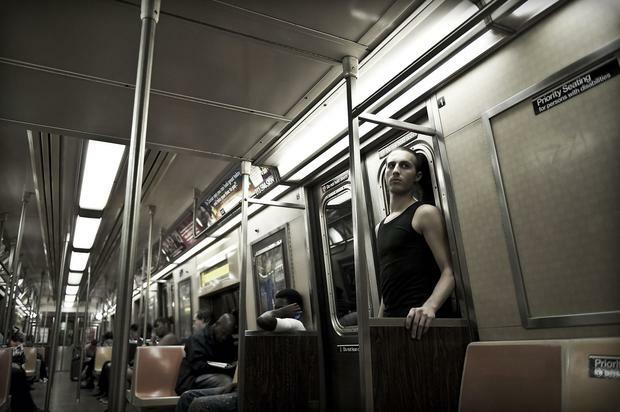 One of my favorite places in the world is the NYC subway. As a child I was first tempted by the strong smells emanating from the grates in the sidewalk. Later, it felt like a slice of the world encapsulated in a tiny enclosed space. 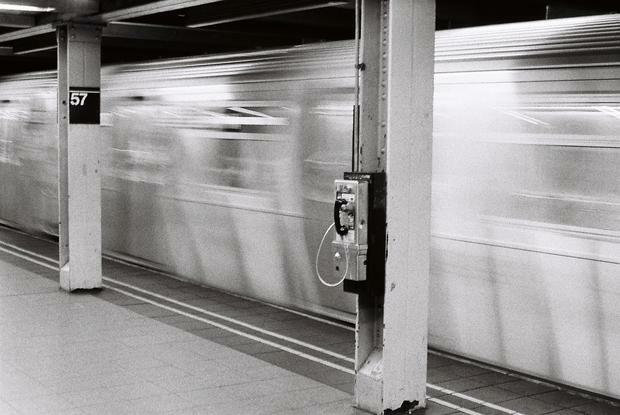 What I like about this picture is that it depicts the speed in which NYC runs. Sometimes things happen so quickly in New York that if you dare to blink, you might just miss it. 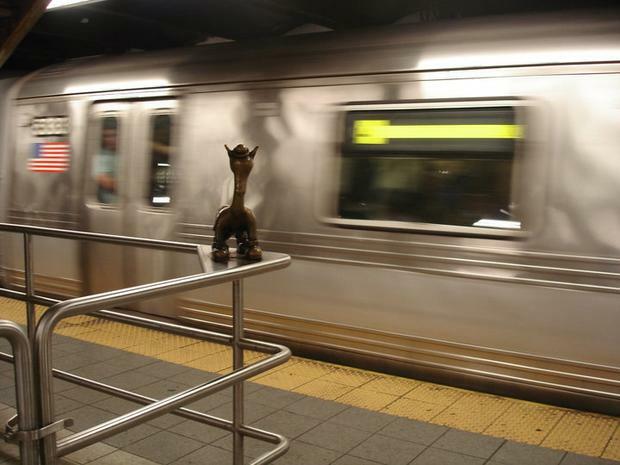 Like the city above it the New York Subway's story has been told many times over but there are still many more to tell. One of only two shot on a recent trip to NY this image is a portrait of the subway. Pealing paint like skin, loose stones like bad teeth and possibly in need of a good wash. 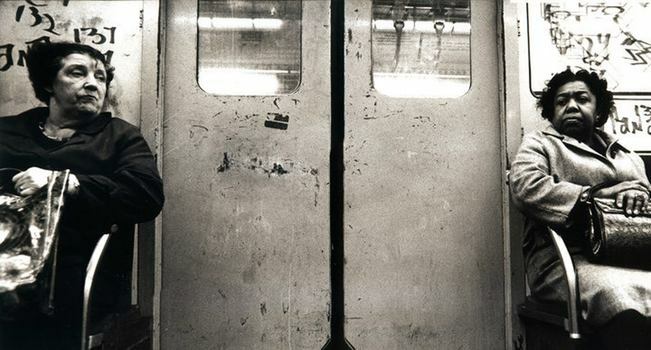 The subway and New York have seen a lot of life and it shows in such a beautiful way. I took this photograph back in 2010 when I was living in Brooklyn. As someone who grew up in Europe, I was fascinated and in the same time frustrated by the sheer loneliness and poverty some of the New Yorkers live in. Among the wealth and glitter of this city, residents like this fragile, old, lonely, perhaps homeless person seem forgotten or displaced. 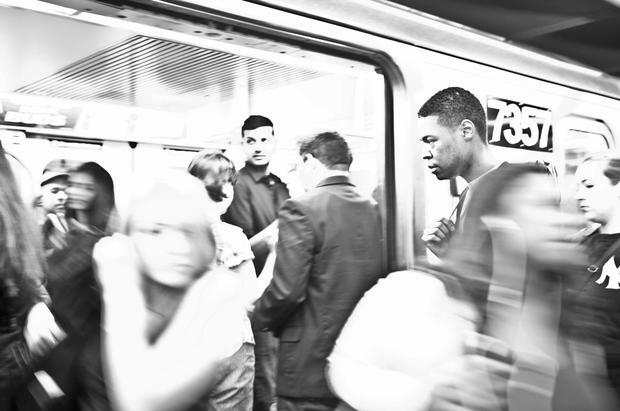 As a result of the socioeconomic problems of NYC, its subway system, contrary to its actual function, is not just a major transportation system but serves a lot people also as shelter. Its from London... It shows a train passing 2 diferent advertisements, one advertisement wants to recruit young English people for the army, the other is an Israelian tourist advert - together they tell a different and more real story about the Israelian army and the reality of being a soldier. 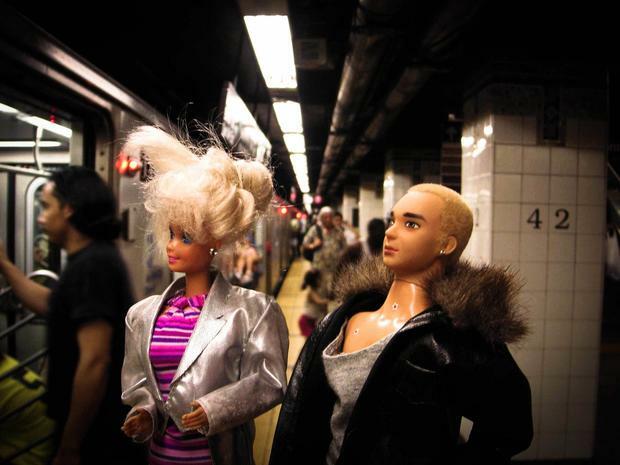 I recognised Barbie and a friend of hers in the subway recently and was lucky enough to take a picture just before they entered the train. 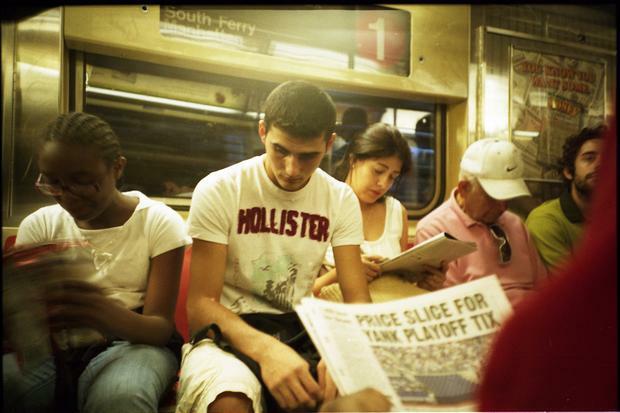 This is a blind shot on a subway in NYC by my Lomo LC-A in August, 2009. NYC subway is a very photogenic environment and I love to take photos every time I have a chance. 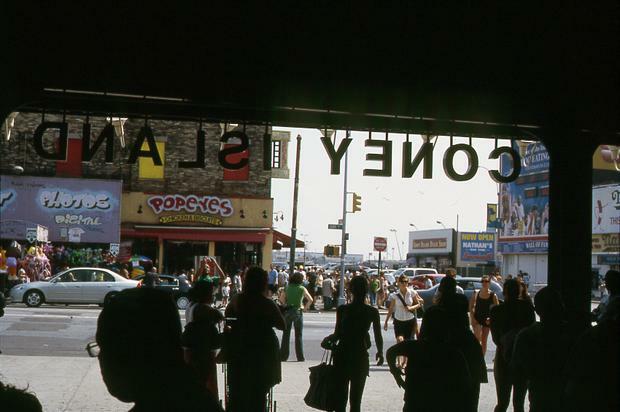 This digitally scanned film image has it all about the City: South Ferry, Manhattan, the Yankees, and the most important – the people of the City. I was standing on a D train on my way home from a friends place in Bensonhurst and noticed the defaced sign. It was one of those things where your eyes are wandering around the train looking at people and advertisements and it just stuck out and brought a smile to my face. This photo was taking on the train from Manhattan to Brooklyn. 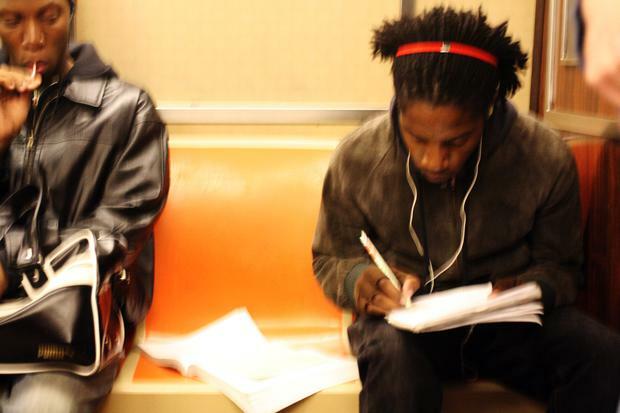 The man writing was completely absorbed in whatever he was working on. I didn't get a chance to see what it was (Schoolwork? Something for his job? poetry? ), but he didn't look up the whole trip. The man sitting next to him (who was not with him) has the classic expression of NYC onlookers, who are somehow curious about the people around them, but rarely interact. He's not doing anything in particular on the subway, just taking a ride with a lollipop. This photo was taken in June 2008. Coney Island, the first day of summer, Puerto Rican parade day. 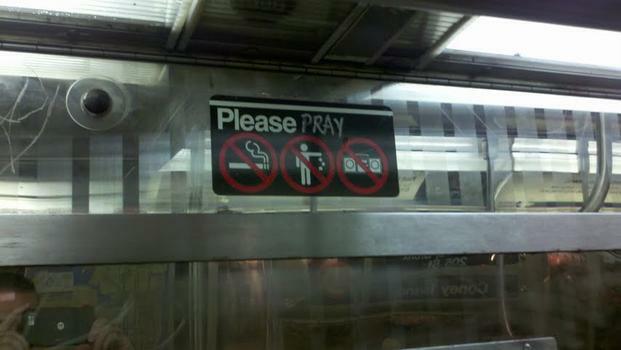 I took it from inside the F train, at the above-ground 4th Ave/9th st. stop in Brooklyn. It's subway workers. I liked the layers of the smears and reflections of light on the window, then the men working, the colors of their equipment contrasted with the industrial colors and look of the station. Then I like the background of the stairs going down, suggesting more layers of space. It says that in New York in the subway we are seeing momentary, changing, less-than-clear views through those often marked windows as frames all the time, and we are seeing layers on layers, what's right in front of us, what's just beyond us, and openings into spaces higher and lower and that we are not in at all and that flash by. We are riding to our destinations at the same time that millions of others are pursuing their separate endeavors, all of which intertwine. The workers are doing their jobs working on the system while we ride it to our jobs. Separate, yet dependent on each other, passing each other briefly yet dependent in an ongoing way. I was heading to Borough Park for a photography assistant job just this past September 2011. I had never been to the New Utrecht station in Brooklyn and as I took the scene in, I was struck by how old this station was. The outside elements influencing the overall look and feel, the mixture of people, the graffiti in the background, all brought together a sense of NYC in the truest sense. The pile of barriers in the center, trying to bring order to the scene, only brings out the NYC disorder that I so love! Sept 21 2010, 7PM. B Train, 47-50th uptown platform. Canon 5DII, Nikon 58mm 1.2, uncropped 1/1000, f/1.2, @1600 at 5 feet. New York City, and in particular its subway system, is like a candy store for photographers -- visually rich and full of sweet surprises. I snapped this in Chinatown with my iphone. 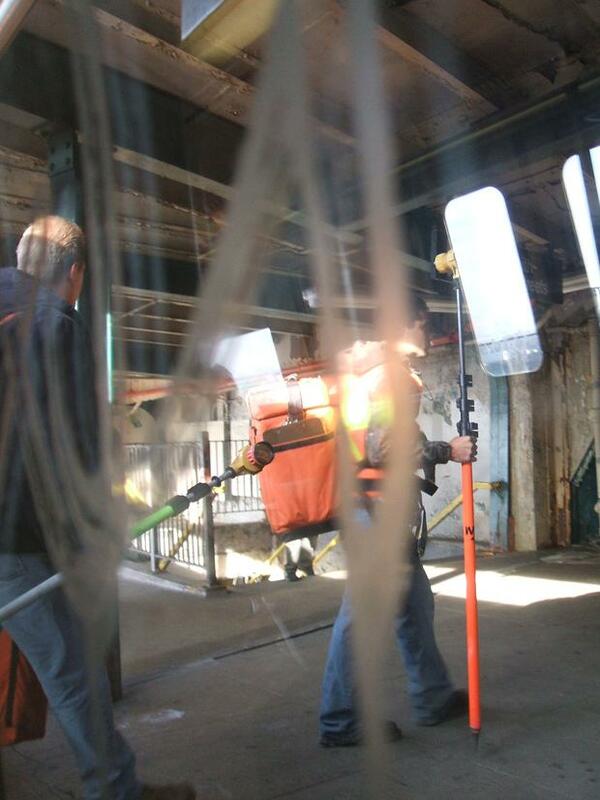 I took this photo on the 4 line's elevated track in the Bronx in the spring of 2009. I was in still in school at the time pursuing my degree in photography and interning for Life.com. I was developing a true passion for street photography and was inspired by the work of photographers such as Mr. Davidson, Roy DeCarava, & Helen Levitt among others. I think this photograph represents one aspect of city life; amid all the hustle and bustle and crowded trains there are still some quiet moments. Even if its only for a second. 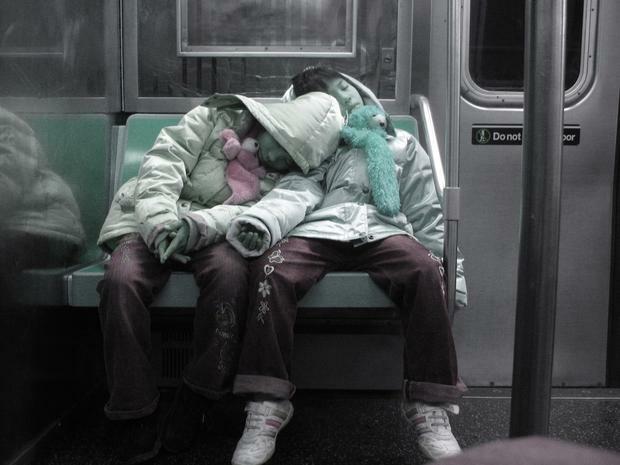 Taken on the N Train at 36th street in Brooklyn on February 5th, 2008. I caught these two sisters fast asleep after a long day of school. N train - 59th street. 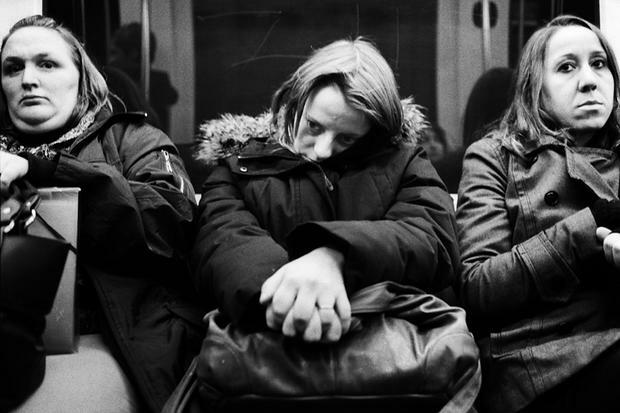 I always find it fascinating how people fall asleep on the subway. There's something comforting in seeing someone so at peace while the world is hustling and bustling around them. The person holding the box reminded me of the mummenschanz commercials I used to see as a kid in the 70's for some reason. I also started to think weird things like what if this person really had a box for a torso? 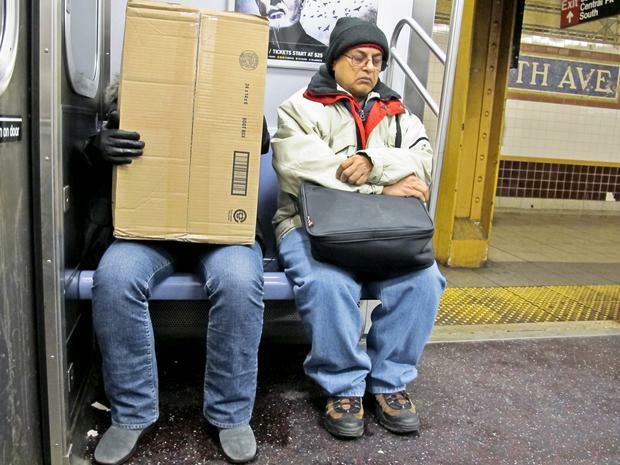 Certainly, the man next to him wasn't bothered by this fusing of boxes and humans. He was too tired to care.